Matt Scassero is the Director of the University of Maryland Unmanned Aircraft Systems (UAS) Test Site, focusing the resources and efforts of the state of Maryland on working with the FAA to integrate UAS into the national airspace, and enabling public access to these valuable assets to empower a flourishing civil and commercial UAS industry. He is also the Associate Director for Maryland for the Mid-Atlantic Aviation Partnership, one of six FAA-designated national UAS test sites. His focus is to lead the university’s efforts to be a premier force in advancing UAS safely, efficiently, and effectively while delivering products and programs in support of workforce development and higher education goals. Prior to his work with UAS, Matt was the Chief Contracts Officer for Melwood, a non-profit dedicated to empowering people with differing disabilities to enrich their own lives through rehabilitative services and employment opportunities. 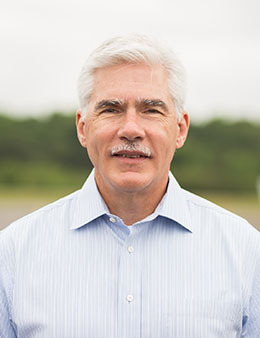 Prior to joining Melwood, Matt completed a 27 year career in the US Navy, retiring at the rank of Captain as the Vice Commander for the Naval Air Warfare Center Aircraft Division, the Navy’s principal research, development, test, evaluation, engineering and fleet support activity for naval aircraft and systems. He is certified by the federal government in program management, test and evaluation, software acquisition, safety program management, and electronic warfare operations. Matt earned a BS in Physics (Oceanography) from the United States Naval Academy in 1982, a Master of Public Administration from the University of Baltimore in 2017, and is a Leadership Maryland 2007 graduate. He is blessed with his family to live in St. Mary’s County, Maryland, enjoying the rural lifestyle and outdoor pursuits. Reporters from national and regional television networks experienced hurricane-force winds firsthand. For the UAS Test Site this means supporting and catalyzing progress in three key areas. Three teams win prize money for drone projects. Director Scassero can discuss UAS integration into national airspace and how the program could affect industry. Twenty-six Chinese police college trainees saw a demonstration of the site's capabilities. UMD UAS Test Site director explains why UAS ruling could be "hugely significant." Television crew films UAS Test Site team's work with NASA's UAS traffic management research platform. Ribbon cutting ceremony brings together leaders in government, industry, and academia. University System of Maryland to collaborate with MAAP on UAS research, testing and development.